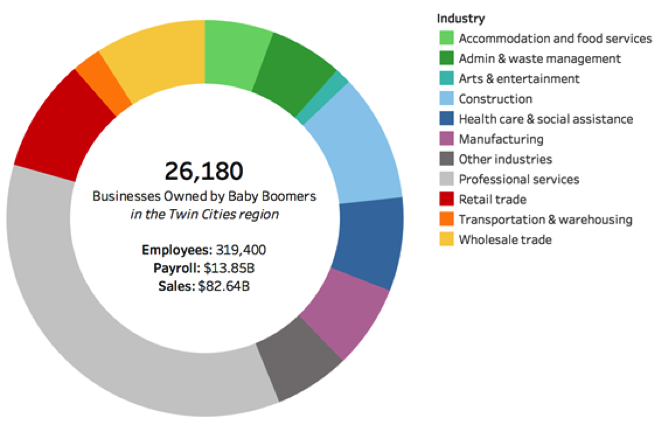 As baby boomer business owners retire, our local business landscape is about to go through a dramatic shift. This shift can provide opportunities for conversions to worker ownership. 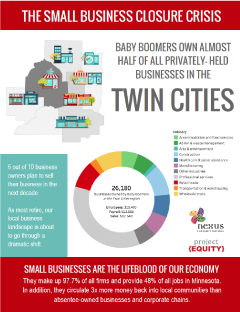 Check out the new Twin Cities’ study conducted by our partner organization, Project Equity. Engage with their interactive infographic to find out how your community is impacted by the potential loss of these businesses and learn how we can help. 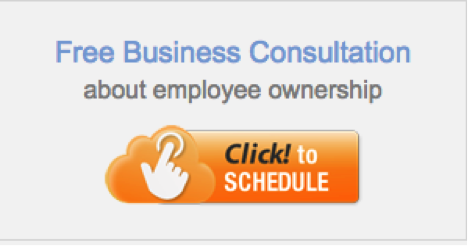 Interested in converting your business? Contact our partner, Project Equity, to learn how they can help. 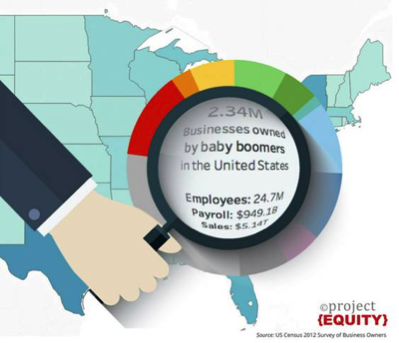 About our partner, Project Equity: Project Equity is a national nonprofit organization dedicated to expanding broad-based employee ownership—especially for low-wage workers—to strengthen our local economies. 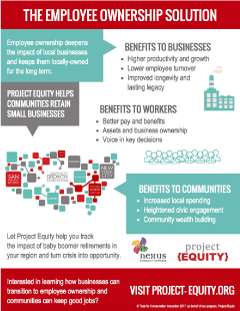 Project Equity envisions a future where business decisions are made through a lens of what is good for employees and communities, leading to businesses that are more successful, communities that are more resilient, and workers who have stable jobs and economic security.